Deliver more strategic value from your ITSM solution. 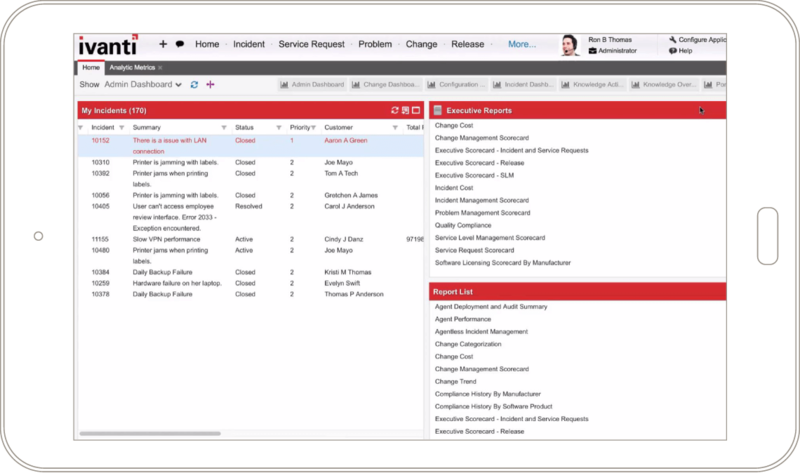 Ivanti Service Manager enables you to easily capture, identify, and respond to issues and service requests across the organization with effective break/fix management—including incident and task management and problem resolution. Improve your incident response plan by automating incident processes and communications to quickly understand and restore service operations and resolve IT issues. Analyze incidents from top to bottom to understand service desk performance. Moving to Ivanti in the cloud has saved us a tremendous amount of time.